Whenever I am looking for a specific item, said item is never anywhere to be found. The perfect pair of brown boots that aren’t too brown and aren’t too orange and have a heel but not too much of a heel? Can’t find a single pair. Last year, when my brown boots were still in perfectly good condition? My dream boots were everywhere. If you need a dress for a special occasion, or a pair of red pumps, or a storage ottoman for your bedroom. These things will be available in abundance until you actually go looking for them with the intent to purchase one of them. Then, suddenly, they’ll disappear from the planet. There will be red pumps, but they’ll have a round toe and you want a pointy one. There will be dresses, but they’ll all be better suited for a business lunch than a fancy dinner party. And there will be storage ottomans, but not THE storage ottoman, not the storage ottoman that puts all the other storage ottomans to shame. This is just a Rule of the Universe. This is kind of like the Murphy’s Law of shopping – It won’t be there when you need it. So when an opportunity presents itself, you should probably take it. 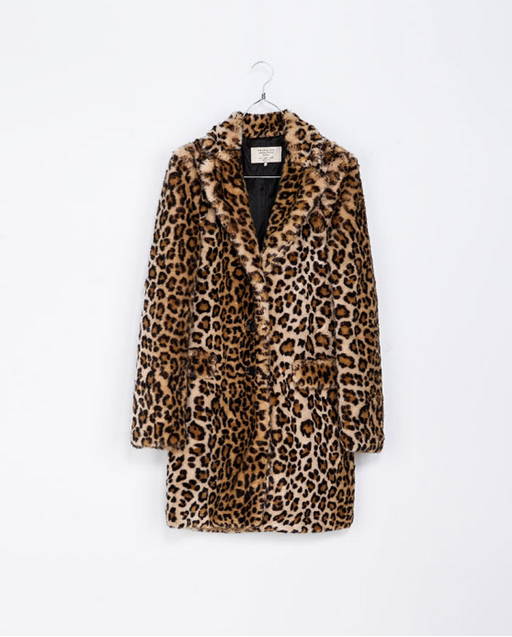 Take, for instance, the leopard coat I have been pining over for years. It was probably, oh, three or four years ago at this point. I was with my mom and I think my aunt, and we were at a mall, but I couldn’t tell you which one. I think we were in a Lord & Taylor, which is odd because we don’t really shop at Lord & Taylor and I’m not even sure there’s one nearby? Anyway, it was definitely a department store and not one I’d normally be in. So I wasn’t looking for anything. We were walking through the coat department, and someone stopped to look at the coats (it was during the winter, or early spring, since winter coats were out and it was dark outside) and as I waited for them to finish, I spied a leopard fur coat. I meandered over to it, intrigued. I was just starting my obsession with fashion blogs and a leopard fur coat was a very fashion blogger thing to have at the time (really, it still is). But it was still pretty far outside my comfort zone. 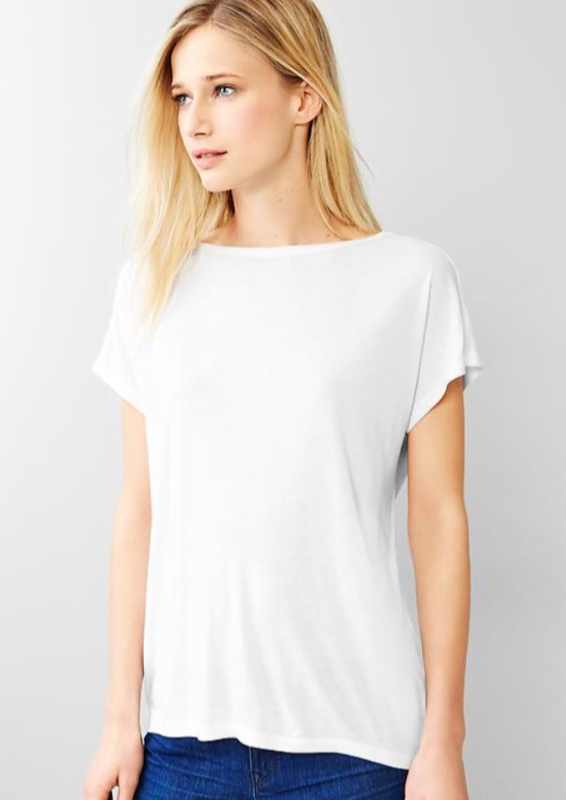 It was on sale for $100, fit me perfectly, and the sky opened up with light and angels sang when I put it on. But my mom said “What are you gonna do with a leopard coat? !” so I put it back and walked away, sure she had a point. Then there was this article in a recent issue of Lucky. Basically, I’ve been kicking myself for years that I didn’t seize an opportunity when I had it. Yesterday I was at Nordstrom with my mom because she decided out of the blue that she HAD TO HAVE a Barbour jacket (or as she called it, “one of those British wax coats!”) and while she tried on every coat in the store and admired herself I wandered over to the sale rack, where I had spied a hooded trench coat. I’ve been wanting to replace my current trench coat, which has a hood ( I am a hood girl) but it isn’t removable and it cost barely anything at H&M years ago and it is really looking pretty craptastic, but I haven’t been able to find a worthwhile replacement. I’ve been dreaming of saving up for a Burberry one, but that would take me years. The one on the sale rack didn’t make the grade, so I wandered further into the coat department when suddenly I was stopped in my tracks by the most beautiful, perfect trench coat this world has ever seen. I ran over to it and excitedly grasped it in my hands. “The hood comes off!” I screeched. I lifted it from the hanger, eager to try it on. “Oh, it feels so heavy,” I lamented to myself. “I don’t want a trench coat that will be too heavy to wear on a warm yet rainy spring day.” That’s when I noticed the removable lining. REMOVABLE LINING, MY FRIENDS. This coat just got 80 times better. I hadn’t looked at the price tag yet, but at this point it didn’t even matter, I HAD TO HAVE IT. I braced myself for disappointment, and imagine my complete and utter glee when it was only $160. $160 for the most perfect trench coat I couldn’t have even dreamed up myself? Yes, please! They didn’t have my size in the store, but they were able to order it for me and it was free shipping right to my door. I am anxiously awaiting its arrival.